Dig in to the region’s roots at these historic spots. From ancient cultures to modern innovations, Seattle’s legacy extends far beyond today’s glass-and-steel cityscape. 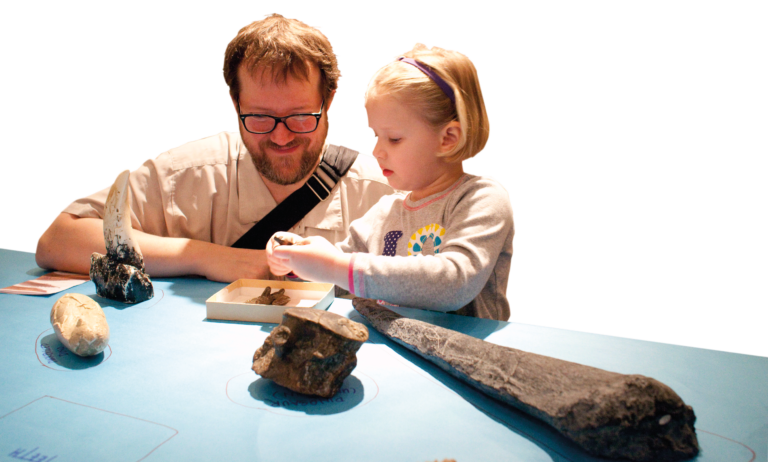 Begin your history lesson at the Burke Museum of Natural History and Culture (*17th Ave NE and NE 45th St; burkemuseum.org) on the University of Washington campus, where you can peek at the first—and only—dinosaur fossil found in the state and learn how things looked 40 million years ago. Then delve into Seattle’s development and more recent past at the Museum of History & Industry (*860 Terry Ave N; mohai.org), aka MOHAI, in South Lake Union, where interactive exhibits like a musical sound-and-light show about the Great Fire in 1889 explain how the city and the region came to be what they are today. Also here are original neon signs from bygone businesses, souvenirs from the 1962 World’s Fair, and maritime artifacts. Behind the museum at the Historic Ships Wharf (nwseaport.org) find landmark vessels, including a steamship, tugboat, and fireboat, bobbing in the water as a testament to the past. For a firsthand exploration of city history, head below the streets on the Underground Tour (*608 First Ave; undergroundtour.com), where you can go back in time to when the street level of Pioneer Square—Seattle’s original downtown—was a story lower than it is today. Nearby, the free Klondike Gold Rush National Historical Park (*319 Second Ave S; nps.gov/klse) paints the tale of how Seattle supported prospectors on their way to striking it rich in Canada. For a cultural perspective on Seattle’s past, visit Wing Luke Museum (*719 S King St; wingluke.org) in the Chinatown-International District. It tells the story of Asian Pacific Americans in Seattle with artifacts, photographs, and art from past residents. And at the Nordic Heritage Museum (*3014 NW 67th St; nordicmuseum.org) in Ballard, dioramas replicate many of the first settlers’ 19th-century journey from Scandinavia to the Pacific Northwest.